In the article I’ll tell you about Turtle Care Tips. Turtles are interesting and just wonderful pets to have around the house. 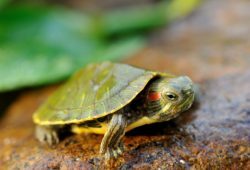 However, they require proper turtle care and attention to live a long, happy life, so you’ll need to have a good pet turtle guide to help you out. You’ll need to learn more about what the appropriate turtle diet is and about turtles in general. 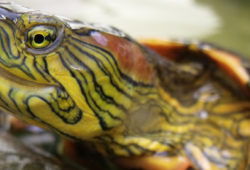 You can find any turtle guide in the library, your local pet store, vet’s clinic or online. Below is your one-stop turtles guide outlining some tips on feeding the right turtle diet, providing the right environment and more. First of all, there are several types of turtles, and how you care for one will depend on which type you buy. Let’s talk about how we can care for pet turtles in general, no matter what breed of turtle you have. We’d want to focus on provide the best care possible and help our pet turtles lead a long, healthy life. After reading up about turtles and being familiar with their diet and habitat, you may now consider getting the type of turtle you want and setting up the appropriate environment for them. Any pet turtle guide will tell you that it is important to set up a good tank for your turtle. Some turtles will require a dry environment, some a wet one and others both. In most cases, it is advised that the water in your turtle tank have the right temperature. Having that said, you need to have the temperature regulated by a heater intended for pet turtles. Other requirements include filters, fluorescent light, appropriate plants and basking areas. Filter help keep the tank clean, however, water generally needs to be changed every few days. Place a fluorescent light over the tank so your turtle can bask (if it’s the type that prefers to do this). Do not leave on for the whole day unless it is always dark and cold. Provide stout plants, because your pet turtle will eat up flimsy plants in no time. Basking areas can be simply made up of large rocks. An interesting fact about turtles is that some live with other turtles and others prefer to be solitary. If you plan to buy breeds that are able to live together in groups, see to it that they all have a similar size to each other. Another thing to consider for proper turtle care is diet. Ensure that you are feeding the right type of food for the kind of turtle you have. 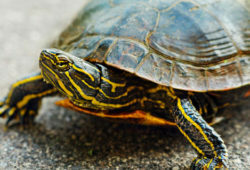 Most turtles eat fresh fruits and vegetables such as bananas, tomatoes and lettuce. If they are entirely or partly carnivorous, they can have fish or worms. Those are only the common foods found in the turtle diet. For specific information on what’s best to feed your turtle, it’s a good idea to discuss it with your reptile veterinarian. Feeding is oftentimes challenging when it comes to turtle care. Turtles can be very picky especially when they are young. 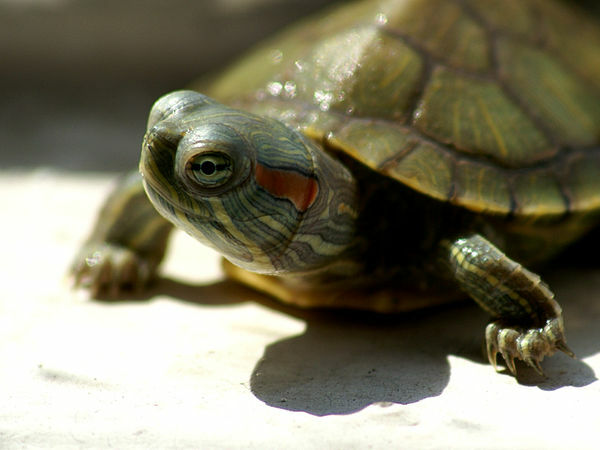 Young turtles tend to be carnivorous and will choose to not eat anything except live animals such as worms. Older turtles tend to start becoming omnivorous, so they are able to accept other types of foods like veggies, fruits and cooked lean meat. Now that you know a bit about turtles, you can learn more about proper turtle care and maintenance.